Twenty years ago, this Niagara Falls land was a dump. Now a local farmer is growing winter wheat there. Farming has been in Kyle Smith's family since 1796. He's been farming full-time for about 15 years now, but this is the first time he's done it on top of a dump. "When they first approached us with the idea it was definitely something different, nothing we'd encountered before or heard about in all our years," he says. The project is on a landfill owned by Walker Industries in Niagara Falls. "The East Landfill operated from approximately 1980 until it was closed in the early 2000's," says Darren Fry, project director at Walker Industries. According to Smith, the landfill had an approved capacity of about 18 million cubic metres and is about 69 hectares. "Around 2006, the site was being prepared for closure, and we were consulting with the local community around potential end uses for the site in the property," says Fry. "A few farmers asked if we could return the land back to its former agricultural use." It took four years for Walker Industries to find out if it was possible. The company spent $500,000 on a study at the University of Guelph. "We committed to work with the University of Guelph and answer the questions of, is it possible to grow crops on top of a landfill safely and economically?" says Fry. But that's a question that raises serious concerns from Renee Delaney, executive director of Small Scale Farms. She says "I feel like, as a consumer, I would like to have a choice in this. If I'm using flour that comes from wheat grown on top of a landfill, I'd like to know." The study was Lee Battiston's PhD research. 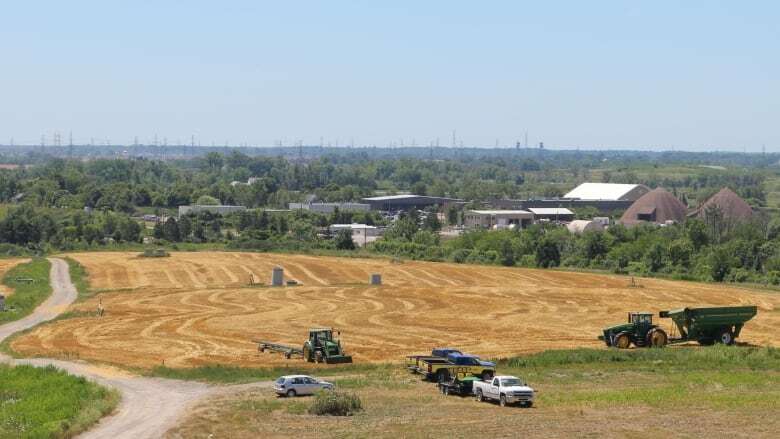 "What we've done is diverted low-risk organic material to create a man-made soil, and put it on top of the landfill so that it would allow agriculture," says Battiston. Battiston says the process has to work in conjunction with an approved landfill closure procedure. "It's a complex process that requires a lot of management, and requires that the closure process is done properly because there is a safety issue." Battiston says over the four years, they measured any kind of gas flow, temperature changes and chemical changes down in the subsoil. The researcher believes this is a smart and safe way to close up large modern landfills. He says it's a way to divert organic materials like leaf and yard waste. Instead of burying them in the landfill, use them to produce the topsoil that'll go on top of it. He also says it's a way to extend the life of a landfill and return it to its original pre use safely and effectively. "Even though the landfill cycle might be 30 to 50 years when you're done you don't end up with a big ugly pit." During the study phase the main crop grown was mixed forage hay, which Battiston says helps the soil structure. 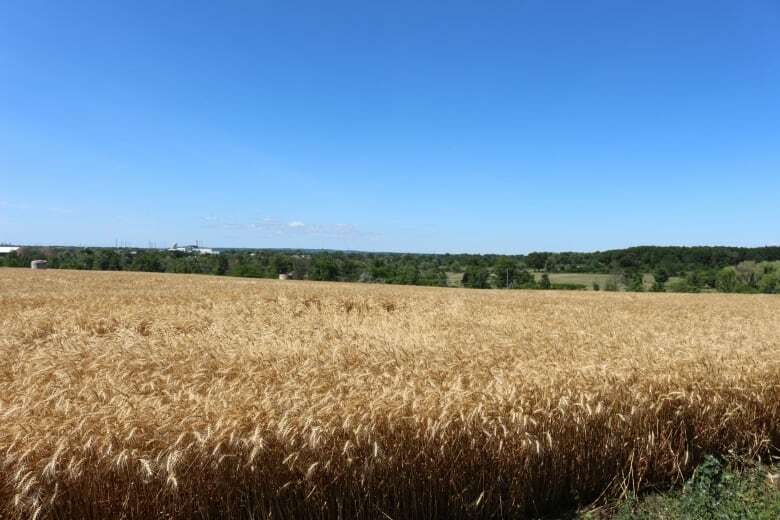 This year, Smith grew winter wheat. "We're going to have a crop rotation of winter wheat this year, soybean the next and corn the year after that," he says. These are all crops that have a shallow root system, he explained. So there is no contact with the clay cap under the soil nor the landfill below it. He says the land produced above-average crop. 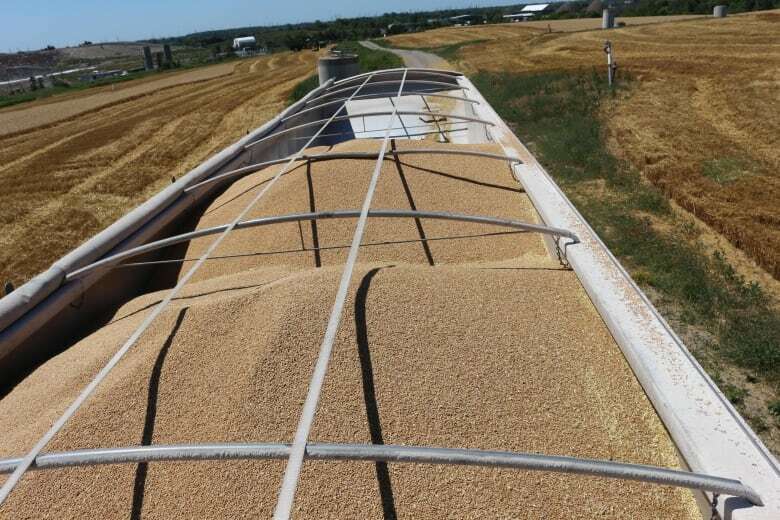 Even though June was a dry month, the yield was better than in other farmlands near the area. Most of that crop was turned into flour, he says. Even though none of it is produced for eating, all of it ends up for human consumption as by-product. "Before we started we were also curious about how this would work, but once we did our tillage and levelled the farm out, it was just like farming any other property," says Smith. "Except we're surrounded by an active landfill, bulldozers, excavators and trucks being unloaded." 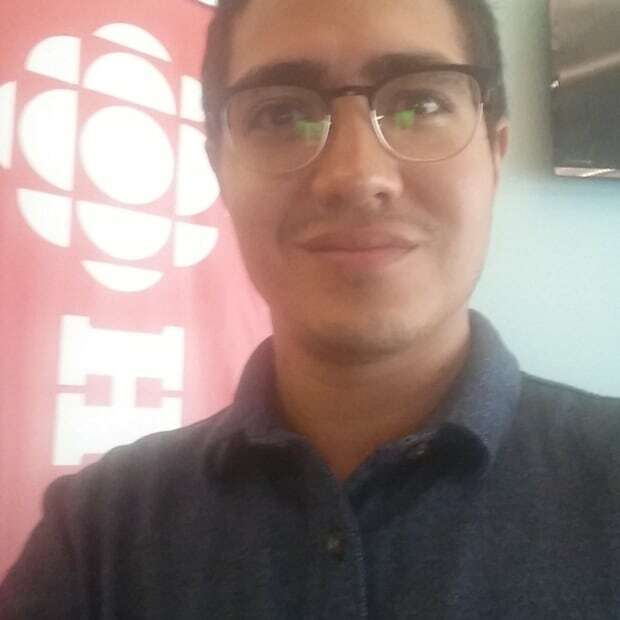 Samuel Guevara is a reporter with CBC Hamilton. He's passionate about local news and digital journalism. You can contact him at samuel.guevara@cbc.ca.